New Delhi, Oct 21: In an attack on the Congress for neglecting the contribution of Subhash chandra Bose, Prime Minister Narendra Modi on Sunday said that several good sons of the nation like Bose, B R Ambedkar and Sardar Patel were “forgotten in the favour of one family”. 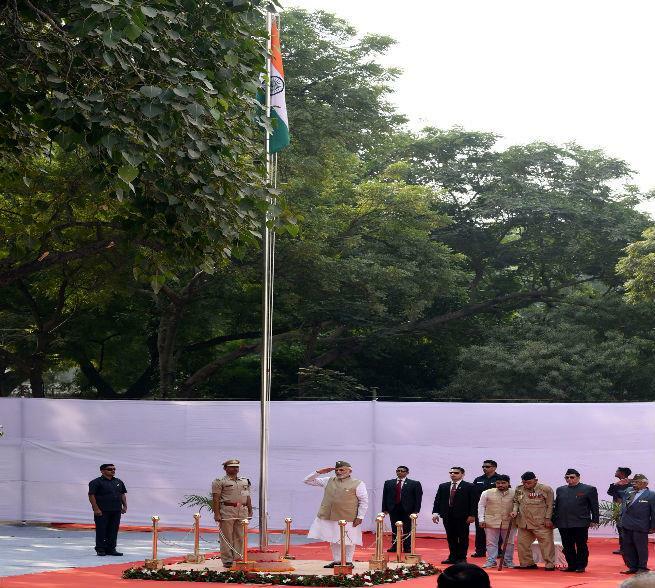 Speaking at the event, seen as an attempt by the BJP to stake claim to the legacy of Netaji after trying earlier to lay stake to legacy of Dr B R Ambedkar and Sardar Vallabhbhai Patel , the PM said, 'it has been our misfortune that even after independence, those who laid the foundation of India and our system, looked at India from an English spectacle. Our heritage, culture, education system, our curriculum have all suffered from this. The Prime Minister also unveiled a plaque to mark the anniversary. The plaque will be placed at barrack number three at the Red Fort where members of the Azad Hind Fauj faced trial. A museum will be also set up in the barrack. PM Modi said that Bose’s administration was not just in name but he made plans. “It had its own bank, its own currency, its own stamp and its own intelligence system… I bow down the parents who gave the country a leader like Subhash Chandra Bose Ji,” he said. The Prime Minister also announced that a national award in the name of Bose will be given every year to police personnel who do excellent work in rescue and relief operations during any kind of disaster. "From this year onwards, we will give an award in the name of Netaji Subhash Chandra Bose to police personnel who do exemplary work while rescuing and providing relief to people during the time of any disaster," he said. Mr Modi said the award will be announced on January 23, Netaji's birthday.